Let’s create a timer app! I want to run the timer in the C++ backend so the QTimer class suits well for that purpose. There is also a QML timer element but I think the QTimer will be more flexible (and propably debugging will be easier, too). 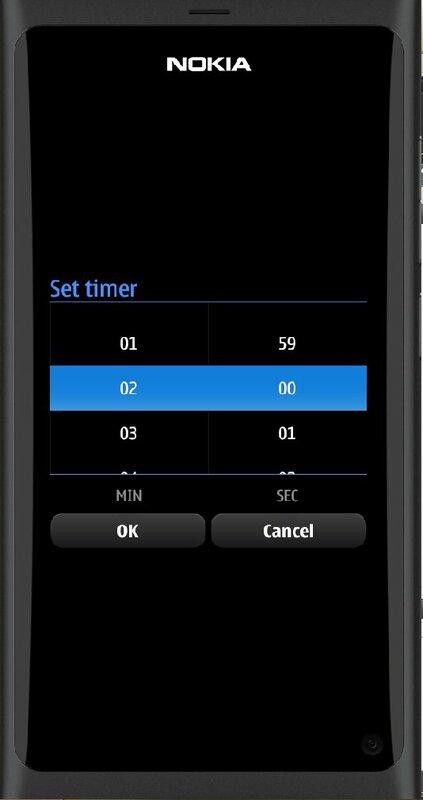 The QTimer class provides repetitive and single-shot timers. 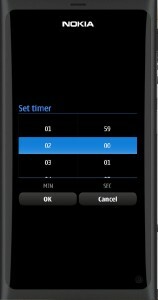 The QTimer class provides a high-level programming interface for timers. To use it, create a QTimer, connect its timeout() signal to the appropriate slots, and callstart(). From then on it will emit the timeout() signal at constant intervals. From then on, the update() slot is called every second. Let’s create a MyTimer class (mytimer.h) and instantiate the QTimer class there. 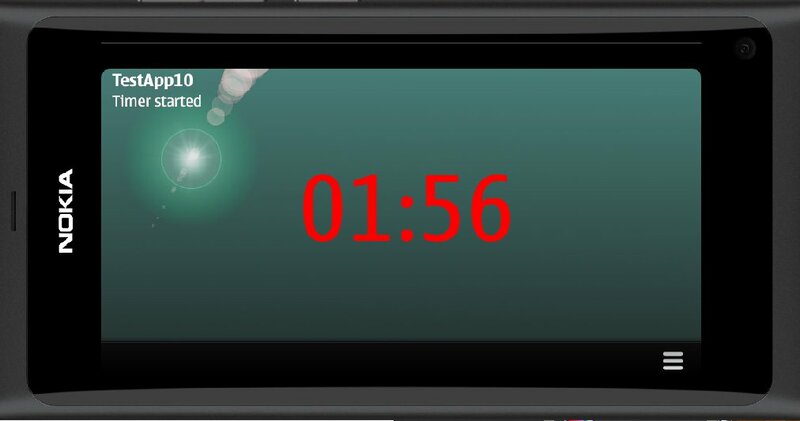 The two signals (valueChanged and timerMessage) will be used to pass the timer value and a status message to the QML user interface. A set of slots are also defined. The QML elements can call these slots when MyTimer is added to the root context. The MyTimer implementation (mytimer.cpp) is shown below. The constructor (MyTimer()) will instantiate QTimer and connect it to MyTimer. The set method will set the timer to the given minutes (m) and seconds (s) value, format a display string (e.g. “01:00” for one minute) and emit the valueChanged signal (if the value was changed). The start(), stop(), reset() and decrement() methods can be used to control the timer. The decrement slot is connected to the timeout() signal of the QTimer object so that the timer value will be decremented whenever the QTimer object emits the timeout signal. The main function just instantiates the MyTimer class and inserts it to the root context (as mytimer). It will also initialize the timer to (0,0) so that the timer display will be updated. Let’s next look at the QML code. In the main.qml file the background images (from the previous post) are taken into use. This can be done quite easily using the platformStyle property and the PageStackWindowStyle element (the image files were just copied to the qml/TestApp10 folder and then added to the project). Note also that the UI theme is changed (to inverted i.e. to a dark theme) at the end in the Component.onCompleted section. // Use the dark theme. The rest of the user interface is defined in the MainPage.qml file. At the top there are two labels (myTitle and timerStatus) to display the app title and a status message. The next label (timerDisplay) will display the actual timer value. It is connected to the valueChanged signal of the MyTimer class. There is also a MouseArea that makes it possible to start the timer by just tapping the timer value. 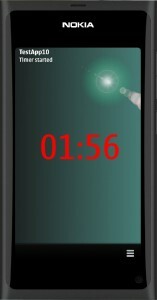 Next there is the TimePickerDialog element from the com.nokia.extras library. It is used to enter the minutes and seconds to initialize the timer. The last part defines the ToolBarLayout and the menu entries that can be used to control the timer. Note that the com.nokia.meego library provides a UiConstants structure that contains some useful parameters for defining fonts and element placement within the page. This is how the finished application looks like. 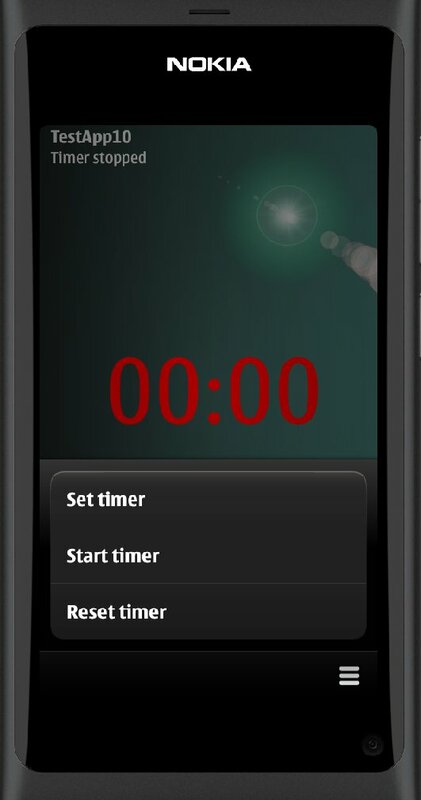 The menu shows those three entries to control the timer (the timer can be started either from the menu or by tapping the timer display value). In the middle is the TimePickerDialog open. And on the right hand side the timer is shown running in the portrait mode. One final comment. 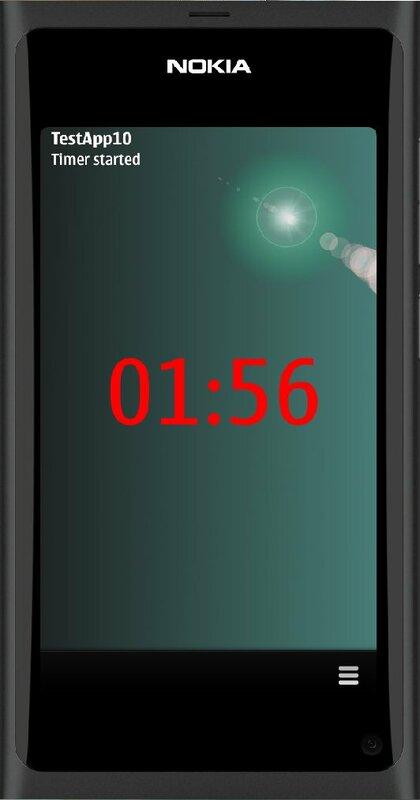 You might get red underlines in the editor when using the com.nokia.extras library like shown in the figure below.